Front Text: "Compliments of The Sunny South Floating Theatre - W. R. Marle, Prop." Reverse Text: "The largest, finest, and most complete floating theatre in the world. 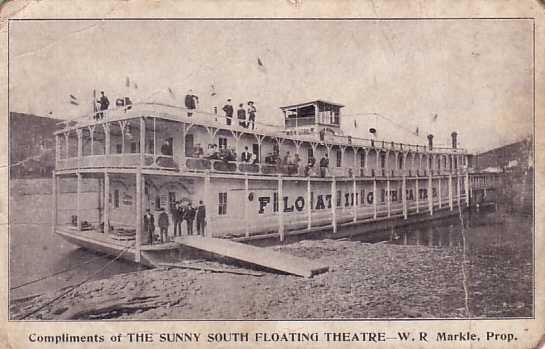 ", "Compliments of W. R. Markle, Proprietor of The New Sunny South Floating Theatre"